Barry’s Pharmacy on Main Street Delvin, is a well stocked local chemist and gift shop. 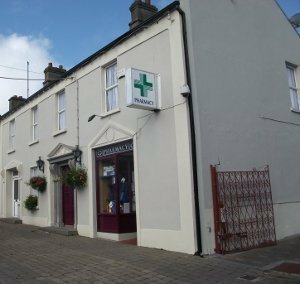 Barry’s Pharmacy has friendly and well trained staff who are qualified to offer advice on a range of medical matters which may not necessarily need input from a doctor. A private car park is available for use by customers at the side of their premises. Barry’s operate another store at The Square, Castlepollard and staff can arrange for medical supplies or gift items to be transferred for collection at either store. Barry's PharmacyDelvin Barry's PharmacyDelvin is at Barry's PharmacyDelvin.